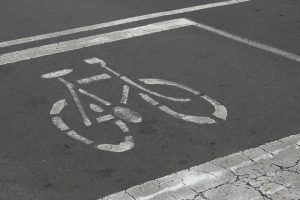 A recent news article from Health.com takes a good look at how to avoid the most common collisions between bicycles and cars. A lot of the information deals with bike safety techniques for riders. While it should be noted that many bike crashes are not the fault of the bike rider, and the at-fault drivers should be held responsible, it never hurts for bike riders to do whatever they can within reason to prevent a serious bike crash. This is important, as there has been a growing trend in people in urban areas such as Boston riding bikes. We have more people than ever riding bikes, and now we have bike share programs where anyone who registers for the service can grab a bike and ride it to their destination. In Boston, we have Hub, which allows people to purchase an annual membership and then use the bikes whenever they choose.We have also seen a significant increase in the number of people who are commuting to work on these and personally owned bicycles. While this is good for a lot of reasons, it also means that we are seeing a lot more bike crashes involving cars. However, there are a variety of things than can be done to decrease the chance you will be in a serious bike crash. One of the most important things you can do is to be visible at all times. As our Boston bike crash lawyers have seen in many police reports generated after serious bike crashes, the driver will often say he or she didn’t see the bike rider until it was too late, or never saw them prior to the crash. The first thing that must be noted is that a driver has the responsibility to keep an assured clear distance and watch the road. As long as the bike rider was following traffic rules, the driver cannot say he or she didn’t see the bike rider and expect that to work in every bike crash lawsuit. While this is true from a legal standpoint, it is obviously best for the biker to avoid being in serious car accident whenever possible. While not legally required, it is helpful to wear reflective clothing, and now you can put running lights on your bike so that visibility is not a problem. It is generally bad idea to wear all black and ride a bike at night, yet we have all seen this from time to time. However, night is not the only time it helps to be visible. Many people are used to looking for cars and may overlook a bike rider even in the middle of the day. For that reason, daytime running lights for bikes are becoming more popular. Another tip discussed in this article is to be predictable. This means that bike riders should follow traffic rules. This means riding on a roadway and following the rules, just as cars are expected to do. We have all been driving when a bike rider who is on the sidewalk or the street decides to quickly dart across a crosswalk as if he or she was a pedestrian. A car may not have time to safely stop, and the driver would not be able to predict the bike rider would do this.